Dancer and choreographer Shura Baryshnikov, the daughter of ballet legend Mikhail Baryshnikov and Academy Award-winning actor Jessica Lange, has choreographed several pieces that will be part of Seattle International Dance Festival's Winter Mini Fest. She'll also perform on Jan. 18. When your last name is Baryshnikov, the dance world will always be watching you. Shura Baryshnikov, the 37-year-old daughter of ballet legend Mikhail Baryshnikov and Academy Award-winning actor Jessica Lange, is in town this weekend, and will perform with the Seattle International Dance Festival’s Winter Mini Fest on Friday, Jan. 18 — but don’t expect tutus and pointe shoes. A contemporary-dance artist with a special interest in contact improvisation, she’s here to debut the new work “Band,” choreographed and performed with Gabriel Forestieri. “Seattle has a really rich reputation for supporting more experimental work,” she said, in a telephone conversation earlier this month, of the local dance scene. 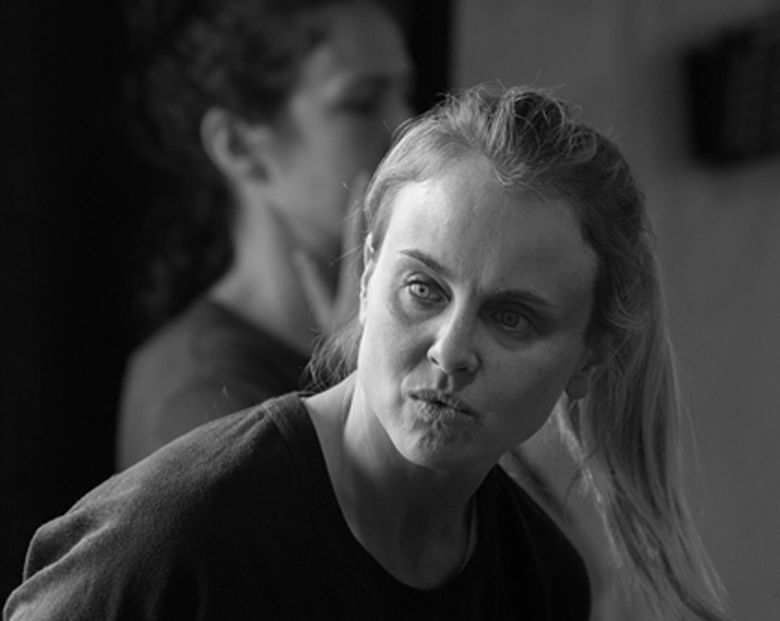 Now on the faculty of the Department of Theater Arts and Performance Studies at Brown University, Baryshnikov has her own dance company — Doppelgänger Dance Collective, based in Providence, Rhode Island — and has traveled nationally and internationally with her work as a dancer, actor and movement designer. And she’s come to terms with her famous name. “The pressure of carrying that name dissuaded me from pursuing dance for a long time,” Baryshnikov said. “But after my children were through their early childhood, I found myself just not being satisfied with doing anything other than moving. Finally it was like, well, I have to grow a thick enough skin to think, I’m going to go out into the world with this name, and if people are going to compare me to him, that’s more about them than it is about me.